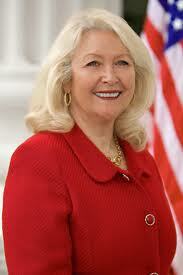 Assemblywoman Connie Conway is the Republican Leader in the California State Assembly. She works with the Speaker and the Governor and the two leaders in the State Senate to get laws passed in California. I really appreciate Assemblywoman Conway taking the time to do this interview! Assembly Republican Leader Connie Conway: First and foremost, Julian, I'd like to thank you for all of your hard work. You are a terrific role model to other young people and I'm honored that you asked me to participate in this interview. PMAKid: What are your three favorite books and why are they your favorites? Assemblywoman Conway: Serving as Assembly Republican Leader keeps me extremely busy so I don’t have the time I’d like to have for pleasure reading. Since this job is so fast-paced, I spend a lot of time reading the news. I’m a little bit of a news junkie and I’m always reading newspapers, magazines and blogs and watching local and national news shows to keep up on the latest events. PMAKid: What are your three favorite songs and why are they your favorites? Assemblywoman Conway: I live in the Central Valley and commute back and forth to the Capitol, which means I spend a good part of my week in my car. Like I said earlier, I’m a news junkie so I like to listen to talk radio on my drive up Highway 99 every week. While I commute I also listen to Top 40 music, so my favorite songs can change by the week. PMAKid: What was your first political office, and why did you get into politics in the first place? Assemblywoman Conway: Politics wasn’t an early calling for me, but I first entered politics when I was in my fifties. I did it after some encouragement from friends who urged me to follow in the footsteps of my father, who passed away – when he was far too young – at the age of 65. Eight years after his passing, I ran for the same seat he had held on the Tulare County Board of Supervisors. I ran a tough race and was the underdog, but ultimately won and became the second woman elected to the Tulare County Board of Supervisors. I faced a similar uphill battle to win my seat in the Assembly, but I’ve never been afraid of hard work. I’m an optimistic person and it’s my nature to want to help people. I ran for the Assembly after realizing that so much of what is done at the local level comes from a mandate from Sacramento, so I decided to make a change at the source. My passion for helping people has been my biggest motivation to enter public service. PMAKid: Mike Villines told me that it was hard when he was in the Assembly and when he was the Minority leader for a lot of reasons, but especially because he did not get to see his family a lot. How do you deal with being away from your family all the time? Assemblywoman Conway: There’s no doubt that it’s hard to be away from my family. I have two young grandchildren. Knowing that I get to see them on the weekends gives me something to look forward to while I’m in Sacramento during the week. Last year, I had to miss my grandson’s 5th birthday because we were voting on the budget. He told me he didn’t know what the budget was, but he didn’t like it because it meant Nonnie Connie wouldn’t be at his birthday. There are definitely personal sacrifices, but knowing that I’ll see my grandkids’ smiling faces help me get through those tough times. PMAKid: My school is a really great school because the Principal and all the teachers really want kids to learn and almost all the kids work really hard and do really well. Having good public schools are really important, but they are having problems with money like everybody in California. My class last year had over 30 kids in it. What do you think we need to do to make all the schools as good as mine? Assemblywoman Conway: I used to be a substitute teacher and I have always had a great respect for public educators. California voters have made schools a budget priority and passed a measure requiring that almost 40 cents of every tax dollar goes to our classrooms. I believe that investing in public education should be a top budget priority. Last year, Assembly Republicans put forward a budget roadmap that protected education. However, money alone does not create great schools – but I think the local schools know what’s best for their students. I’ve been a strong advocate for giving local schools more flexibility and cutting the purse strings from Sacramento. PMAKid: Do you have kids? If you do, what are their favorite books to read? Right now, mine are the Fablehaven series. Assemblywoman Conway: I have two sons and two grandchildren. I’m having fun reading books to my grandchildren that I used to read to my sons when they were little. One favorite book is the bedtime story classic, “Goodnight Moon.” Another book that I enjoy is Dr. Seuss’ book, “Oh the Places You’ll Go.” I love the positive and inspiring message that it sends by letting kids – and adults – know that the sky’s the limit for achieving their dreams. A final children’s book I like is “If You Give a Mouse a Cookie,” which reminds me of how things sometimes operate up here at the Capitol. Basically, it starts off with the narrator giving a mouse a cookie and then it begins a slippery slope of things that the mouse needs after having a cookie. I only wish what happens at the Capitol was just as amusing as this story. PMAKid: How do you teach your kids to stay away from drugs and how to deal with friends who talk about using drugs or alcohol? Assemblywoman Conway: Growing up is tough and I know that kids today face many new challenges that I didn’t have worry about when I was younger. I used to be a coach and I think that sports can help provide a positive influence that keep kids away from drugs and alcohol. I have found that when athletes work so hard to achieve their sports goals, they don’t want to do anything that will jeopardize all of those efforts. While athletics have been an important part of my life, I think that finding positive goals to achieve can help block the negative influences to use drugs or alcohol. PMAKid: I know from what Mike Villines told me that it must be really stressful to do your job. How do you keep a Positive Mental Attitude when things are really hard? Assemblywoman Conway: I have a sign in my office that reads “Keep Calm and Carry On.” The motto was used during World War II in Britain to boost public morale. That saying helps me keep things in perspective – there could be many battles waging around you, but it’s important to take to take charge of what is within your control and move forward. Another tool I use to help with stress is a sense of humor. I like to joke around to help diffuse tense situations. Sometimes people take themselves too seriously. I’ve found that, when appropriate, a good laugh can work wonders in easing a stressful situation. PMAKid: If you could have any job besides being in the State Assembly, what would it be? Assemblywoman Conway: A TV weather person – I minored in meteorology at Fresno State. I guess it goes back to the fact that I’m a news junkie at heart. I even check weather in cities around the world from my phone. Or a choreographer. I love to dance – which makes sense since knowing the steps and sometimes making them up while you keep with the beat is an important part of politics.